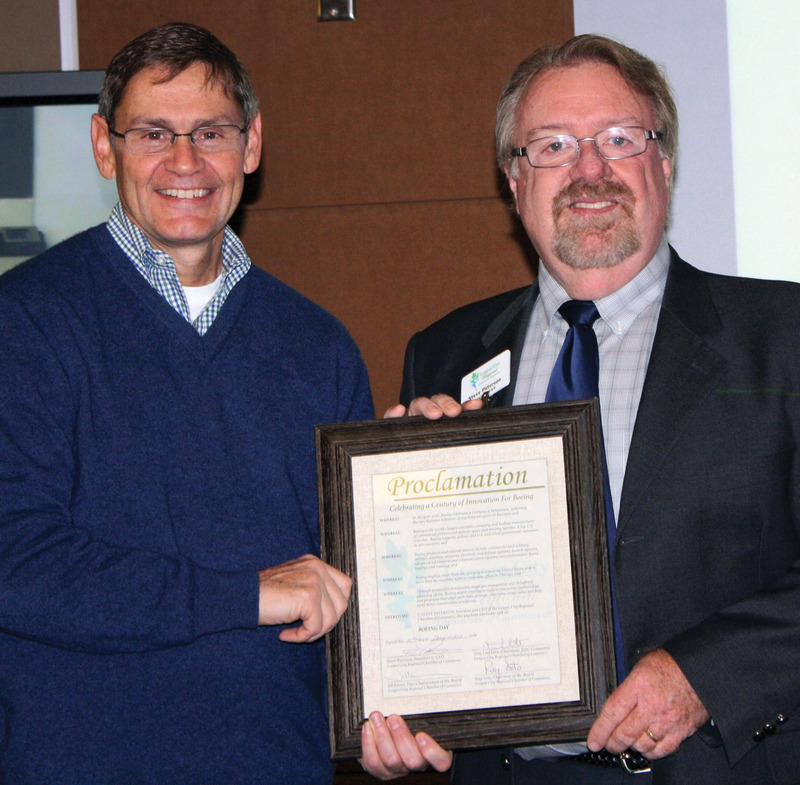 League City Regional Chamber of Commerce President and CEO Steve Paterson on Thursday, Dec. 15 presented Vice President and General Manager John Elbon of Boeing’s Space Exploration Division with a proclamation celebrating that company’s 100th year in business — A Century of Innovation. John Baumgartner was unanimously appointed interim city manager of League City during a special meeting on Dec. 19. City Council voted 8-0-0 to approve the appointment for a six-month period beginning Dec. 20. Baumgartner unofficially assumed the role of acting city manager on Dec. 13, when the council fired City Manager Mark Rohr. San Jacinto College is ranked second in the nation when it comes to education for science technologies and technicians, according to Community College Week’s recent 2016 Top 100 rankings. The college’s process technology program offers courses no other college does and is nationally recognized for its successful classroom-to-industry workforce pipeline. TACTE recognized the process technology program as an exemplary and innovative career and technology program, which offers two courses unique to San Jacinto College: Soft Skills and Basic Mechanical Skills for Energy. Zwiercan said industry partners have expressed the importance of graduates holding both of these skill sets. In its ongoing effort to elevate public awareness about heart disease, the American Heart Association has announced the 2017 Bay Area Go Red for Women Cause Sponsor and Chairman Santiago Mendoza Jr. of Bay Area Regional Medical Center. 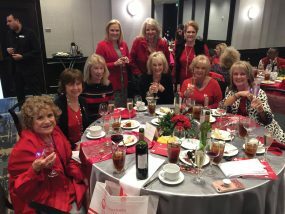 The 2017 Go Red for Women Luncheon Friday, Feb. 24 at South Shore Harbour Resort is expected to draw more than 500 attendees and plans to set new fundraising records for the Bay Area Division and mission of the AHA. Mendoza serves as the senior vice president of business development and marketing for Bay Area Regional Medical Center. Electronic registration is now open for the 58th annual Science and Engineering Fair of Houston, Texas’ largest regional science fair, taking place Feb. 24-28, 2017 at the University of Houston. Students in grades 7-12 throughout Houston and southeast Texas who have a passion for science, engineering, technology and math are encouraged to register. Participating students will showcase their projects to industry leaders, competing for the opportunity to participate in state and international science fairs. Eleventh grade students who are interested in becoming a Festival Princess or Lieutenant, or children between the ages of 7 and 9 who wish to be a Little Lady in Waiting or a Page are encouraged to complete an application. All completed applications must be emailed to lunarrendezvousfestival2017@gmail.com no later than Jan. 31, 2017. An informational meeting will be held on Sunday, Jan. 22 at 3 p.m. at the University of Houston-Clear Lake Bayou Building. 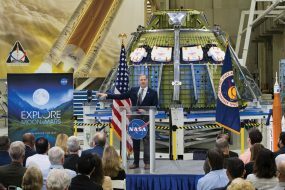 Space Center Houston’s Independence Plaza won the attraction industry’s highest honor at the International Association of Amusement Parks and Attractions Expo Brass Ring Awards Ceremony — earning the prestigious Impact Award and Best New Product for Displays and Sets. The Impact Award, one of the most distinguished of the international Brass Ring Awards program, is given to a category winner that had or will have the most impact on the future of the industry. Since opening last January, Independence Plaza has garnered international news stories and drawn visitors from around the world. Developing an exhibit unlike anything else in the world was no small feat. Throughout the construction process, Jack Rouse Associates provided complete planning, design and project management for Independence Plaza. The eight-story multiple-exhibit complex is the biggest project for the nonprofit since the center opened in 1992. Bringing the legacy of the 30-year shuttle program to life, Independence Plaza features hands-on activities, multimedia displays and NASA artifacts – all inside the original shuttle carrier aircraft, NASA 905, with a shuttle replica mounted on top. Pearland City Council has approved a $6.1 million construction contract for the City Hall Complex Renovation Project. The complex is home to a host of city departments and houses more than 100 city employees and serves as a meeting location for all public meetings including City Council and Planning & Zoning Commission meetings. The facility also houses the city’s Administration, Finance and Human Resources departments, which support 650 city employees. In addition, the Community Development Department processes approximately 15,000 permits a year while meeting with homeowners and developers at the City Hall Complex, and the Water Billing and Collections Department handles utility bills for Pearland’s 139,300 residents. National PTA has recognized Ralph Parr Elementary and Parr Elementary PTA as a National PTA School of Excellence for their achievement in building effective family-school partnerships. It is one of 173 schools nationwide and one of only 16 schools in Texas to receive this award. Research shows that when families and schools work together, student achievement increases, schools improve and communities grow stronger. Four Memorial Hermann hospitals have been collectively named among the nation’s 50 Top Cardiovascular Hospitals by Truven Health Analytics,TM an IBM company. Memorial Hermann Greater Heights Hospital, Memorial Hermann Southeast Hospital, Memorial Hermann Southwest Hospital and Memorial Hermann The Woodlands Hospital, have been named among the 50 top Cardiovascular Hospitals eight times. 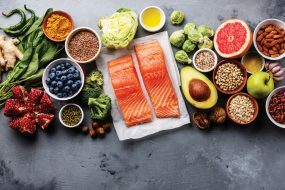 The Truven study, now in its 18th year, singled out 50 hospitals that achieved superior clinical, operational and financial performance in this critical area of hospital care. The 100 Top Hospitals study is well-regarded for evaluating leadership impact in a hospital, as well as for evaluating quality indicators and efficiencies.